Very pleased. These were very hard to find vaccuum bags. 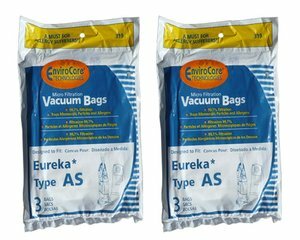 The Eureka 68155-6 Style AS Premium Bags come 3 per pack, so we have a total of 18 now. It will take some time to use those up. Thanks to everyone at AllBrands.com. I will recommend this site to my friends.